The Julia pattern: Double-layer twirl skirt with Drawstring. Also includes Mod Blooms applique template. 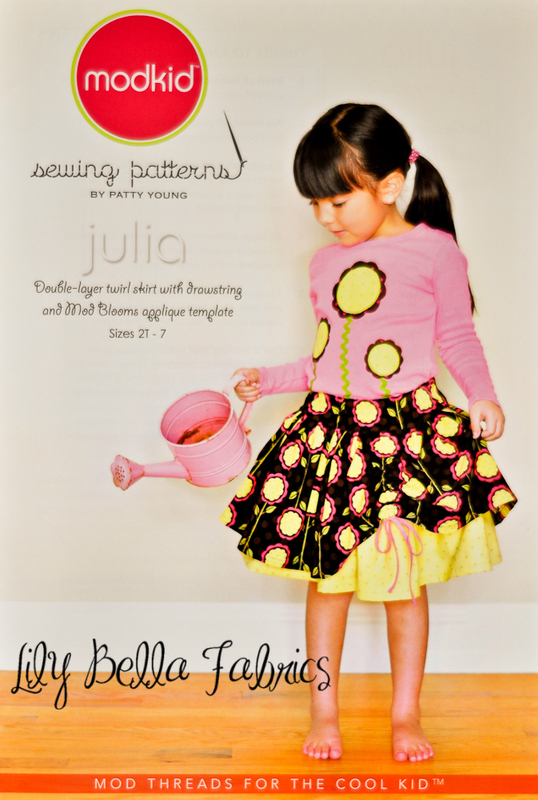 Designed with the beginner sewist in mind, Julia is a sweet set that is as easy to sew as it is to wear. There are no zippers, buttons or snaps to apply; just a couple of casings. The double-layer super twirly skirt can be made with or without the drawstring detail and fuller or slimmer as desired. 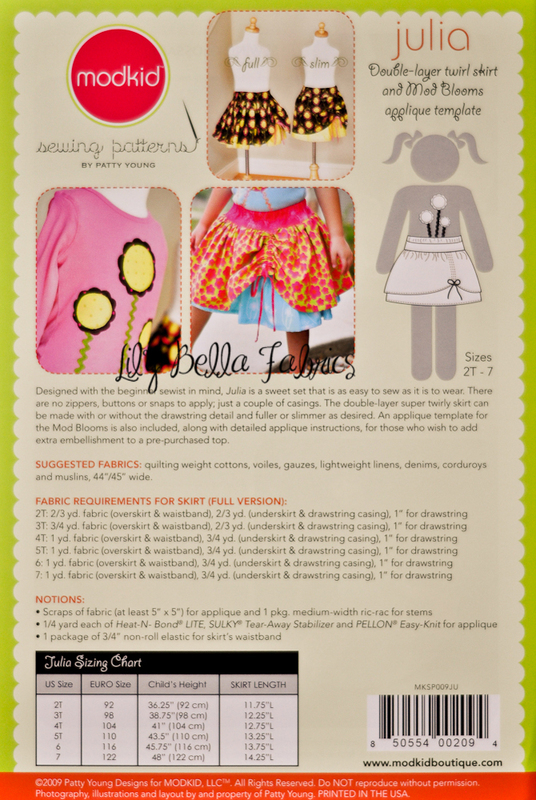 An applique template for the Mod Blooms is also included, along with detailed applique instructions, for those who wish to add extra embellishment to a pre-purchased top. Girls sizes 2T - 7.